Michael Kain, MD, is an orthopedic surgeon at BMC and Assistant Professor of Orthopaedic Surgery at Boston University School of Medicine. 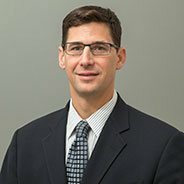 His clinical interests include Hip Dysplasia and Periacetabular Ostetomy (PAO) or hip preservation surgery, Femoracetabular Impingement, Labral and Hip Arthroscopy, Hip Arthritis, Hip Replacement Direct Anterior Total Hip Arthroplasty, Orthopaedic Trauma and Fracture Care, and Avascular Necrosis of the Hip. Melanie Cole, MS (Host): Although hip pain is usually associated with aging, developmental problems in the hip, a condition called hip dysplasia, are pretty common in adolescents and young adults. And without treatment can lead to pain and arthritis early in life. My guest today is Dr. Michael Kain. He’s an orthopedic surgeon at Boston Medical Center. Dr. Kain, let’s start with what is hip dysplasia, and why does it affect young people? Michael Kain, MD (Guest): Thanks for asking and thanks for having me today. Basically, hip dysplasia and young adult hip pain usually can come from a variety of things. Most of the time, it’s mild abnormalities in the growth and development of the hip. Either on the femoral side or the acetabular side, which is connected to the pelvis. Typically, you see this on the acetabular side, which is what we call dysplasia. It’s the same thing you hear about when babies are born and making sure that their hips don’t click. It’s really some form or portion of the spectrum of that developmental process. Host: So, if it’s really a matter of biomechanics and it’s just something that isn’t sort of right as they're growing, is it something that you identify while they’re young. Dr. Kain: Well, we try to. The pediatric orthopedic world has really done a fabulous job at trying to pick on some of these things. We don’t do a lot of screening other than with the newborns as I mentioned earlier. In the young adults and teenagers with the increase in activity, we’re trying to identify these folks that have potentially pathologic problems that limit their activity that could go on to causing them to have arthritis at a young age. Host: Wow. So, tell us a little bit about diagnosis and treatment? What symptoms? Is there something… If they're active, they're soccer playing, they're really a youth athlete. Something that lets you know that they're having this type of pain. What does diagnosis look like? Dr. Kain: Well pretty typically it’s an insidious onset, meaning it just comes out of nowhere and it starts to bother them over time. Occasionally it can be from an actual athletic injury, but a lot of times it’s really just pain that starts to come with simple activities such as sitting for long periods of times or even driving, which are typical questions that we focus on and ask about. I think one of the more interesting things is that most of the time, those are the type of activities that bother people the most and is usually the way we pick up on the diagnosis. Host: That is interesting. So, what’s the first line of defense if someone comes to you with that type of pain? And what does it mean to treat hip dysplasia with hip preservation surgery? What’s the goal of this type of procedure? Dr. Kain: So, when we start, once someone fails non-operative management, which is what we start with everybody which is generally physical therapy, anti-inflammatories. This is usually over a course of about six months because we don’t want to just operate on everybody. If someone becomes an operative candidate, we start talking about either hip arthroscopy where we put the small cameras into the hip and either repair or reconstruct the labrum, which is the soft tissue structure. Or if it’s really a bone and developmental process, we actually will consider doing osteotomies of the pelvis to readjust the hip joint to improve the biomechanics of the hip. Host: Who is a candidate doctor? Dr. Kain: The best candidates for these are usually young folks probably under 30, 15-30. Once their growth plates are closed is as early as you want to do it. They’re someone who usually has pain for long periods of time. They tend to have [inaudible] pain. Meaning that after their activity they notice they limp a lot. They have these x-ray findings that we find where the hip is a little underdeveloped. Host: Does anything change afterwards as far as their activity level? Do they have to change the type of shoe that they wear? Could it cause back problems, upward? Speak about what happens afterward. Dr. Kain: Well after we get through some of these interventions, we’re hoping to get them back to full activity. There’s a lot of literature that shows that about 90% of people can get back to their sports of choice. Even some professional athletes have had these arthroscopic procedures. Even with the osteotomy, even though it sounds like a really big operation and it is, people are able to get back to most of their activities. That is ultimately the goal is to be active and to keep the hip and joints healthy. Host: Does it come back or cause arthritis later on in life? Dr. Kain: Dysplasia itself will not come back, but this is all a spectrum of a disease. So, we’re trying to stop the arthritic process from developing. As you mentioned earlier Melanie, it’s a biomechanical process. For people who have systemic diseases or other systemic problems that cause arthritis, this will not affect that. So hopefully once we get the biomechanics right, the deterioration in the joints stop. Host: Does it ever lead to something more serious in a young person like an actual hip replacement or another type of procedure? Dr. Kain: Occasionally there are other procedures that we have to do or people will require several procedures afterwards, and we try to limit these obviously. Yes, unfortunately there is a small percentage of people that this doesn’t work very well and the salvage operation for that is a hip replacement. The good news is the hip replacement tends to work very well and is really one of the better operations that we have in all of medicine. Host: We see a childhood obesity epidemic, Dr. Kain, in this country. Does weight have anything to do with the onset? Or is this something that was just gonna be? Dr. Kain: I think it’s fair to say that weight does play a little role in this. We know obesity can be a problem even in doing these surgeries. It can cause increased risk factors. So, this is always something that we’re trying to work with and figure out how we can optimize people’s weight and to make everything safe. A lot of times when we work on that, we actually can improve some of their symptoms. So, it does play a role. Host: If it’s identified in little guys, can you do something then with the pediatric orthopods? Are they doing something at the onset? Dr. Kain: Yeah, the pediatric orthopedics, they have a litany of procedures that they can do. This all stems from that and recognizing that. The earlier we can correct the mechanics and get the development of the hip correct for the long haul, we can improve the hip’s survival in the long run and make it more durable for one’s lifetime. Host: What about physical therapy? Dr. Kain: Physical therapy, I think, is somewhat hotly debated. People think oh well this is the only deformity I have. I think the reality is as we go forward and as you mentioned with the weight, I think more therapy and specific therapy plays a significant role. If people can get themselves up and moving and even just trying to do some basic activities, this is always something we want to implore. I think physical therapy plays a lot of role in it. It depends on the participation on how successful it’s going to be. Host: Dr. Kain, before I ask you to wrap up, do some people opt out and decide not to have an osteotomy or one of these procedures? Are there some risks to not doing it? Dr. Kain: Yeah. I think some folks will decide that for them, they're unwilling to take the risk. It certainly is a personal choice. This isn’t certainly something that someone has to have. It’s always hard to gauge someone’s symptoms. Usually if patient’s pain is bad enough and the symptoms fit, we generally work with the patient and have a collaborative decision in terms of which way we’re going to go. Whether that’s injections or osteotomy, it’s a team choice with the patient being the primary team member. Host: Wrap it up for us then Dr. Kain because this is not really something that people hear much about. They don’t hear about hip dysplasia. We hear about osteoarthritis or various forms of knee problems, but they don’t typically hear about something that effects our kiddos and even into their adolescent years. So, wrap it up for us with what you would like parents listening to know about. Maybe spotting some of those signs and symptoms and when you feel it’s important to seek the advice of an orthopedic surgeon. Dr. Kain: I think if folks are having pain, particularly after activities or it’s preventing them from doing activities that they’d been able to do. As I said earlier, if they're having a lot of pain with just sitting and standing and it’s just really slowing them down, I think it’s a good time to get checked out. It usually starts with a basic x-ray and starting with some activities. If things don’t get better in a short period of time, it’s always good to have us take a look at them to make sure that they're able to go through life and we can avoid the hip replacement. The natural history of this is if it gets to a certain level, it’s pretty clear and we know that certain people will have a hip replacement at 45. So, I think the price of trying to get it checked out early is always worth it to try to improve the longevity of one’s hips. Host: Thank you so much Dr. Kain for being with us today and explaining to parents some red flags that they should look out for if they’ve got kids that develop this type of pain. Thank you again for sharing your expertise. This is Boston Med Talks with Boston Medical Center. For more information, you can go to bmc.org. That’s bmc.org. This is Melanie Cole. Thanks so much for listening.